Tonight, the West End Gallery celebrates its 40th anniversary of selling art on Corning’s lovely Market Street. 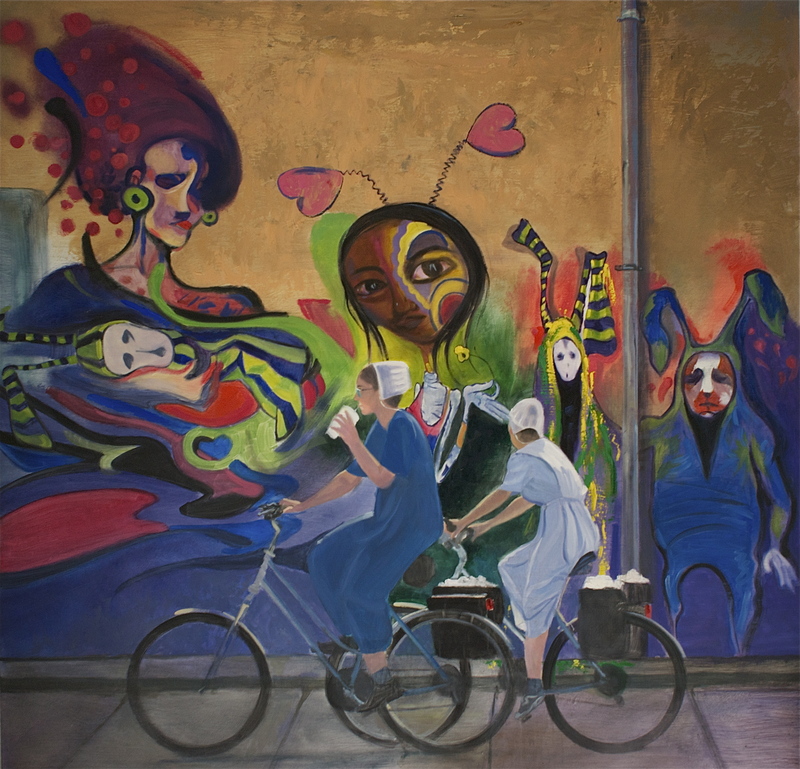 There is a coinciding opening for a retrospective show of the paintings of the gallery’s co-founder, Tom Gardner. The festivities begin at 4:30 this afternoon with a ribbon cutting and following that there will be music from guitarist Bill Groome, plenty to eat and drink and a few surprises. I’ve said and written this many times before, but without the West End Gallery I have no idea what or where I would be. The chance to show my work given to me by then gallery owners Lin and Tom Gardner forever changed the direction of my life, opening new doors of opportunity that I couldn’t even imagine in my former life. Ultimately, it changed how I viewed the world and myself. It’s rare that you can pinpoint a moment in time that alters your life in such a drastic manner that you can see the results that extend from that moment a la It’s a Wonderful Life. But I have such a moment from a day in early 1995 when Tom critiqued my work and Lin asked me to show a few pieces in their next show. Without that moment with them, every good thing that has come to me via my work most likely would have never happened. The numerous paintings that have found their way around the world, the 50 or so solo shows and the many, many wonderful people I have been fortunate to encounter through my work– all of it would probably have never occurred. I don’t want to even consider what would be without that moment. In my own way, I say “Thank You” to them every day I enter my studio and take part in the life and work that I so enjoy now. It is all due to that moment and I will never forget that. Nor will I ever be able to thank them enough. For forty years, the West End Gallery has given me and so many other artists an opportunity to take a chance on a different life. It has persisted through the ups and downs of the economy, through booms and busts. Now under the capable hands of Tom and Lin’s daughter Jesse and her husband, John, it is looking forward even as it celebrates its past tonight. They are working hard every day to make the gallery better in every way. I wouldn’t be surprised if there’s another 40 years in the cards for the West End Gallery. So, if you’re in the area tonight, make your way to the West End Gallery for a celebratory drink, a little bite, some great conversation and some wonderful art and music. If you’ve never been, they’ll make you feel right at home. I can tell you that from first-hand experience. Thank you for everything, Lin and Tom and Jesse and John. 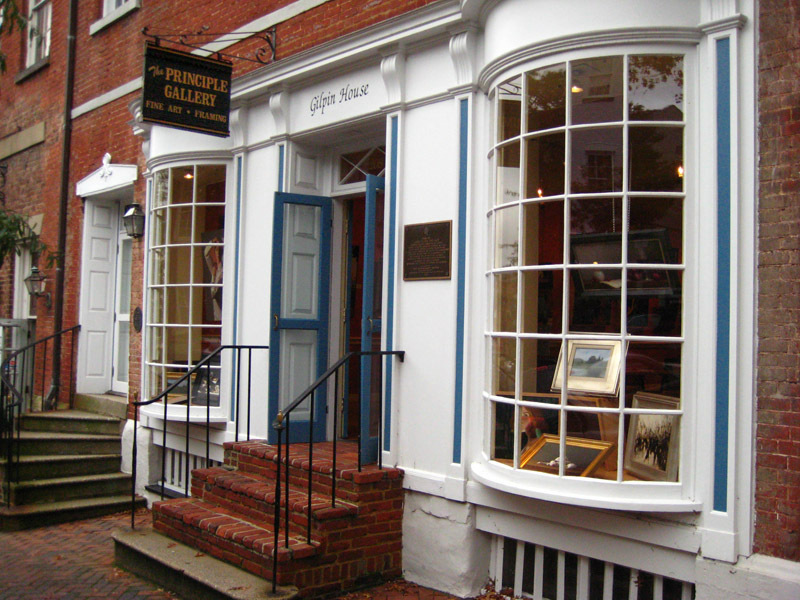 There is an opening that I will be gladly attending this Friday, April 25th, at the Principle Gallery in Alexandria, Virginia, a celebration of the gallery’s 20th anniversary as an Old Town fixture on historic King Street. 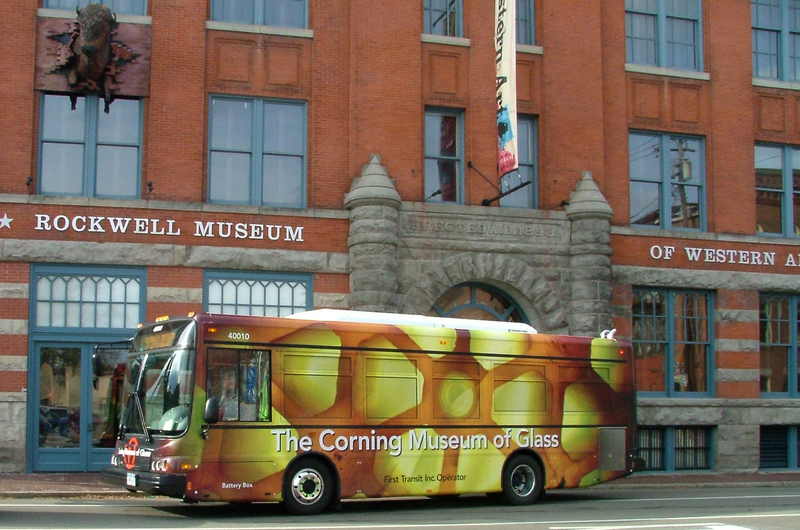 The gallery first opened in April of 1994 on Cameron Street in a second-story space and moved to their present location in 1997, taking up residence in historic Gilpin House. Over the years, they have featured some of the finest in contemporary art, focusing on representational realism, and their reputation as a gallery of the highest caliber has grown, nationally and internationally, with each passing year. In 2013, the Principle Gallery brand expanded with the opening of a Principle Gallery in Charleston, South Carolina. For me, I first came on board with an invitation from owners Michele Ward ( then Marceau) and the now retired Sue Hogan in early 1997, just as they were about to make their move to their present location. I had only been showing my work publicly for just two years at that point and had only been painting for a little over three so I was excited to find a spot in their roster. Little did I know how important my relationship with this gallery would become to my career. I have written here in the past about the gratitude I have for the galleries with which I have worked over the years. I have worked with several galleries for the better part of two decades and each has been vital to the growth of my work and my career, providing me with reassurance when I am feeling less than confident and willing eyes when the work evolves. Each has provided me with intangibles that I cannot fully describe. My life would be so different without each of these galleries. I shouldn’t say galleries because it is truly about the people that operate them. That certainly has been the case with the Principle Gallery. Over the years I have worked with numerous wonderful people there, each of who has allowed me to let my work grow in many directions, always encouraging me and treating my work with respect. They always make me feel welcome as a friend the moment I enter the gallery and I think that is a quality that extends to nearly everyone who comes through their doors. You see it in the faces of many friends from the area who pop in just to say hello. That alone says volumes about them as people. It certainly makes the gallery experience they offer a much different one than most people envision. It is an experience based on making you feel comfortable and they succeed in every way. I know that they have made me feel comfortable there over the years and for me that is saying a lot. I had my first solo exhibit at the Principle Gallery back in 2000. That was the Redtree show that gave birth to my now trademark image. This year’s June show, Traveler, marks the 15th consecutive year I will have had a solo show there. It has been my pleasure to be able to grow with the gallery, to see it constantly strive to be better, to make itself more. It inspires me to do the same. And that, among all the things they have given me over the years in terms of encouragement and friendship, might be the greatest gift of all. The inspiration to aspire to be more. So, to Michele and her wonderful staff– Clint, Jessica, Pamela and Kris– I send you a heartfelt thank you and best wishes for many more years of success. Happy 20th! I listened to the Out of Bounds interview yesterday with a squirming knot in my stomach. Fortunately, it seemed to go okay and most of the knot subsided immediately. Not all of it, however, as I had a lingering, nagging feeling about an omission on my part that I need to correct . When Tish Pearlman, the host of the show, asked about the time when I first showed my work to the gallery owner at the West End Gallery she didn’t use his name. As I listened yesterday, I kept saying to myself as the interview went on, ” Say his name, for chrissake!“, hoping that I was about to utter the name. I was positive I had used his name during the interview. But it turns out that I had not. The name was Tom Gardner, who owned the West End Gallery at that time with his then wife Linda Gardner, the current owner who I did mention during the interview. Besides owning the gallery, Tom has been a mainstay and engine of the art scene in the Finger Lakes region for decades. He is well known for his oil paintings with collectors all over the country, his teaching of aspiring painters and his public sculpture. Visitors to downtown Corning are well familiar with his sculpture of the buffalo, Artemus, that bursts through an upper exterior wall of the Rockwell Museum of Western Art there. Or the Dali-esque melting clock that adorns the front of the West End Gallery. He is a non-stop ball of creation and a great and amiable character, to boot. You can’t walk twenty feet down the street with him in Corning without someone stopping him to talk or someone yelling at him from across the street. It was this amiability that made me comfortable enough back in January of 1995 to bring in my milk crate filled with scraps of paper and board for him to critique. As I said during the interview as well as many times during gallery talks through the years, my life would have been vastly different if not for Tom’s willingness to look at my work with an open mind. I really don’t know where I would be right now if Tom had not seen something that day and had not encouraged me. I don’t even know if I would have continued painting for long if he had told me there was nothing there. I doubt very much that I would be in my own studio, writing this blog. I’m sure I would not be as contented in my life as I now am and, for that alone, I am forever indebted to Tom Gardner. Even if I do absentmindedly overlook mentioning his name on a radio interview. Thank you, Tom, for opening a door of opportunity for me when I wasn’t even aware that there was one in front of me. Well, today’s my annual Gallery Talk at the West End Gallery in Corning in conjunction with my show, Dispatches, which is hanging there until the end of August. I’ve done quite a few of these talks over the years, probably 11 or 12, so I know what to expect. But there’s always a little anxiety anytime you have to speak in front of any group of people. 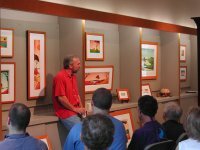 My gallery talks are always pretty much off the top of my head which, when it works and the audience is receptive and interacting, is good. When it doesn’t work, it’s pretty ugly. A lot of blank stares and awkward silences. Luckily, that’s only happened once or twice. The first talk I did at the West End was back in 1997 and I had put everything I wanted to get across into a short speech that I wrote out and memorized. Well, the talk began and I reeled off my little speech. It was pretty good until I came to the end of it and glimpsed the clock. It had lasted about 4 minutes and my mind was a totally blank slate. Tom Gardner, then co-owner of the gallery and a well known painter, had told me a little trick before the talk. He told me to always have a glass of water and when I came to a spot where I was stuck with nothing to say to simply walk back and forth in front of the audience and take a very slow sip of the water. Look thoughtful. I thought it was pretty good advice until I realized I would be pacing back and forth, sipping water, for 56 minutes. Luckily, Tom rescued me with a question and from there it snowballed with the rest of the crowd asking questions, one subject leading to another. Phew! Over the years I’ve gotten more comfortable with the whole thing and have an assortment of anecdotes to fall back on when things start to falter. Another reason I don’t go in with a prepared speech is that each group of people is different. Some groups are more interested in talking technique, wanting to know how each piece is painted. What type of paint I use and how I achieve certain aspects in the paintings. That kind of thing. But others are not so interested in the how but in the why. They prefer to hear what the stories are behind the paintings. So, there’s a moment at the beginning of each talk when I have to gauge what approach suits this particular group best. I really try to stay away from the technical side for the most part because sometimes, when I’m droning on about such things, I can see the non-painters’ eyes glazing over. I try to get off the subject as soon as possible when I spot this and try to engage their interest. It usually goes pretty well and we all have a few laughs. I’m hoping today is no different. If you’re in the area today, the talk takes place at noon at the West End Gallery in Corning, NY.